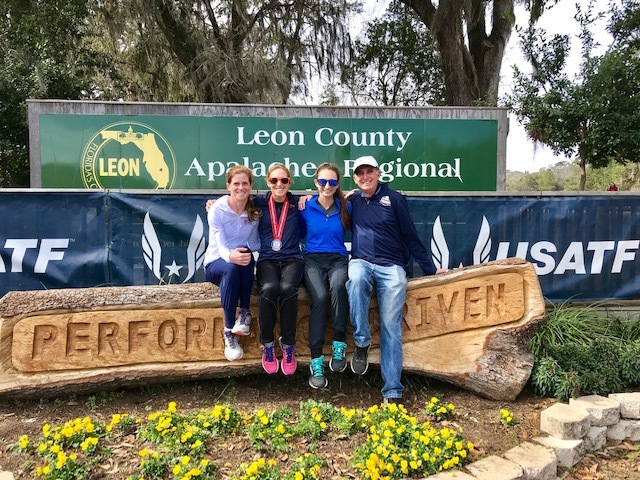 San Diego Track Club athletes Jenny Ledford and Kim Mueller, long time San Diego running icon and USATF official Thom Hunt and one of his talented female athletes at Cuyamaca College, Lexi Thiros, travelled to Tallahasee, Florida to race amongst some of the fastest runners in the country at the USATF National Cross Country Championships on Saturday, February 3rd. A qualifier for the World XC circuit, this race draws a healthy line up of professionals and highly decorated athletes and this year was no different with the likes of Stephanie Bruce, Molly Seidel, Emily Infield, Sonja Friend-Uhl (who just ran a 4:59 mile in January at age 46), and Marisa Sutera-Strange (USATF’s master’s runner of the year for 2017) amongst the uber competitive field. The venue, Apalachee Regional Park, is not only the home course of the Florida State Seminoles cross-country team but also has hosted a long list of competitions, including USATF Club XC National Championships a couple years ago. The course treats runners to a combination of spacious grass, packed clay, and crushed limestone paths conducive to fast running but also challenges athletes with several tight turns and gradual uphill climbs that take a toll on the legs with its multiple loop format. The master women’s race was a 2-loop 6km race (masters men ran 8k) while the open races were a 4-loop 10km course. 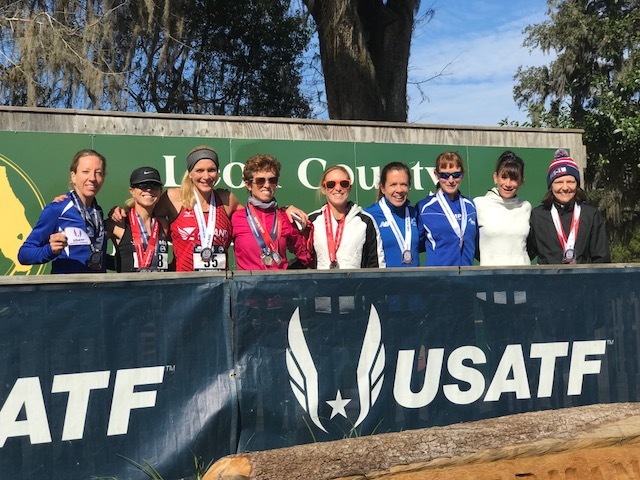 The master’s ladies race was the first race of the day with Kim Mueller representing San Diego Track Club Women’s Masters Team and USATF-San Diego well, taking home 5th overall nationally with a 23:37 6km showing. This landed her a podium spot in the overall standings (top 10 recognized) and she also took home the silver medal for women 40-44. Two other Southern California master runners, including newly minted master, Maggie Shearer with Team Mosquedo Elite (1st 40-44, 2nd overall) and Carla McAlister with Team Run with Us (3rd 40-44, 6th overall) shared the podium with Kim. Another Californian, Jennifer Bayliss of Impala Racing Team, outkicked Maggie Shearer for the overall title with Sonja Friend-Uhl finishing 3rd. The seemingly ageless speedster of Athena Track Club, Marisa Sutera-Strange, finished right in front of Kim for 4th overall. 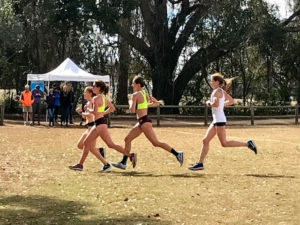 San Diego Track Club Women’s Open Team runner, Jenny Ledford, and Cuyamaca College cross-country athlete, Lexi Thiros, took on the 10km course alongside a pack of professional runners with 10k PRs in the 31-33 min range so not surprisingly, the race went out FAST. 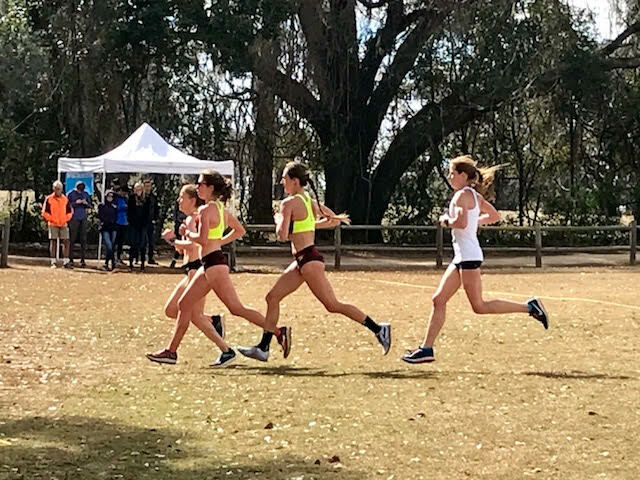 Jenny led the way for San Diego, finishing 21st overall in 38:47 and Lexi made an impressive 10k debut finishing in 40:06 for 29th place overall. Top 3 overall went to professional runners, Emily Infield (33:18), Molly Seidel (33:22), and Stephanie Bruce (33:34). 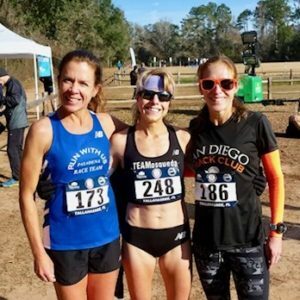 Thank you to SDTC and USATF-San Diego for not only supporting the sport of XC with our local Dirt Dog XC series but also providing this sweet opportunity for us to represent the San Diego community at the National level.